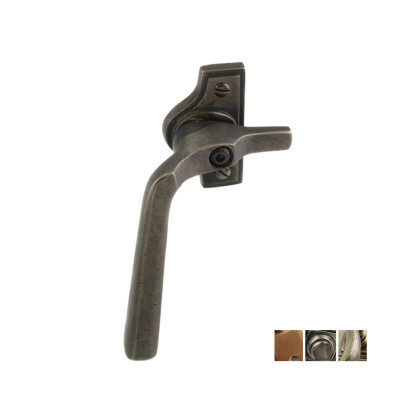 A classic Flush Ring Pull Handle. The Wrenbury Brass Flush Rings are available in 3 brass finishes and 2 sizes. 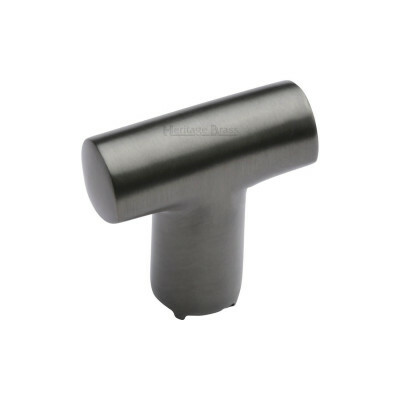 These fittings are Hand Finished to Order, so are non-returnable, please double check sizes before ordering and allow for a lead time of 1 - 2 weeks. The Wrenbury Brass Flush Rings are available in sizes and 3 natural brass finishes. They are perfect for all styles of period or contemporary home and the simple lift up ring makes opening drawers and cupboards really easy, and stows away flat when not in use. You will need to rebate the wood to fix these so that the front of the pull is flush with the surface of the door or drawer front. 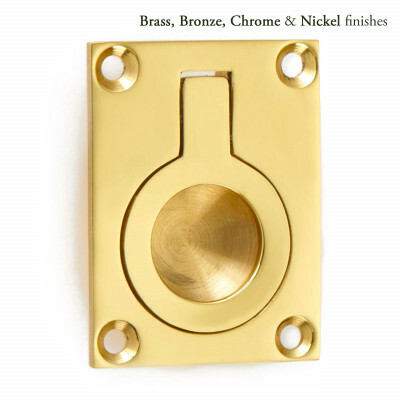 Unlacquered Brass - As our brass is unlacquered, so you may see tonal differences between each item. We apply a good layer of beeswax before dispatching to give added protection to the unlacquered surface. The living finish means with time and touch the brass will mellow, however you can easily brighten the brass by using a good quality metal polish. You may reapply a thin layer of good quality beeswax polish from time to time if required. You can use a good quality metal polish if you wish to brighten the brass. Satin Brass - As each piece is hand sateened there will slight differences in the final appearance, this gives individual character to each product and the authentic feel expected of handcrafted furnishings. This is a living finish, left unlacquered so it will continue to age with time and use to add further character. A layer of good quality beeswax polish is applied prior to dispatch to help protect the finish, this may be repeated periodically if required. You can use a good quality metal polish if you wish to brighten the brass, however vigorous or continuous polishing will eventually remove the sateened finish revealing the regular polished brass underneath. 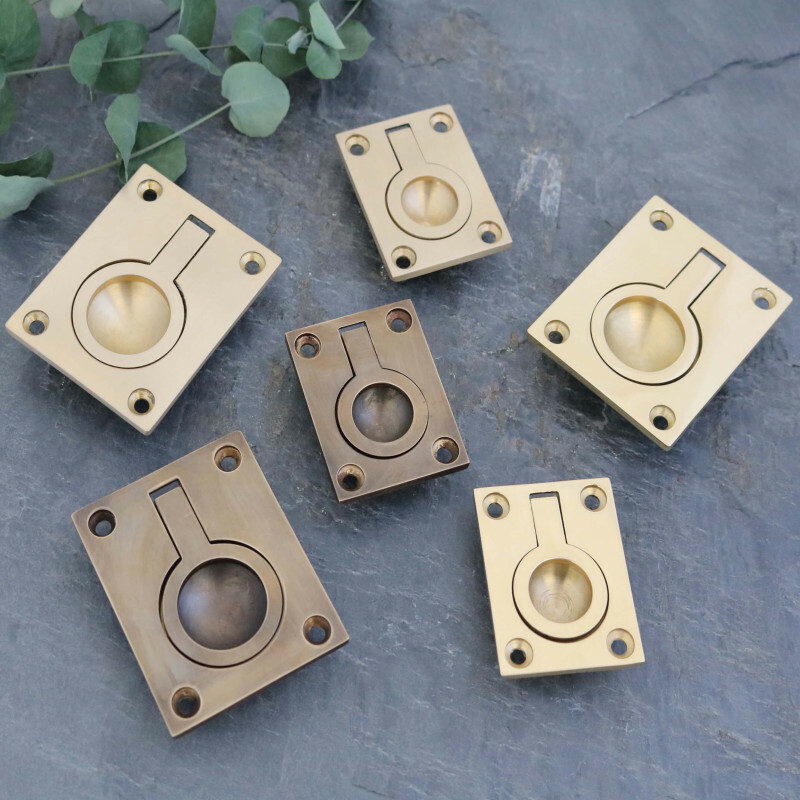 Vintage Brass - As each piece is hand finished there will slight differences in the final appearance, this gives individual character to each product and an authentic aged feel. This is a living finish, left unlacquered so it will continue to age with time and use, revealing the metal below to add further character. A layer of good quality beeswax polish is applied prior to dispatch to help protect the finish, this may be repeated periodically if required. Please do not use any form of metal polish, household cleaner or wipes as this will remove the hand applied finish. Sold individually and supplied with necessary fixings. Always make a small pilot drill hole and use a manual screw driver to avoid damaging screws and finish. 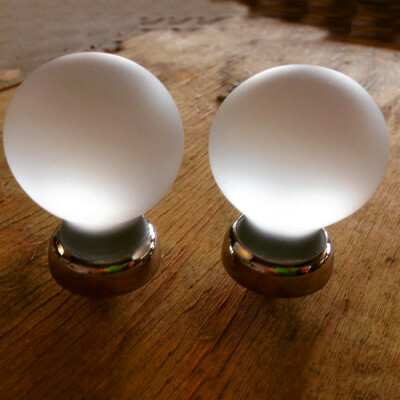 These items are Hand Finished to Order with a lead time of approximately 1 - 2 weeks.